Just like Google Photos for Android, depth-of-field image editing for iOS ‘Portrait Mode’ photos is now available in Google Photos. 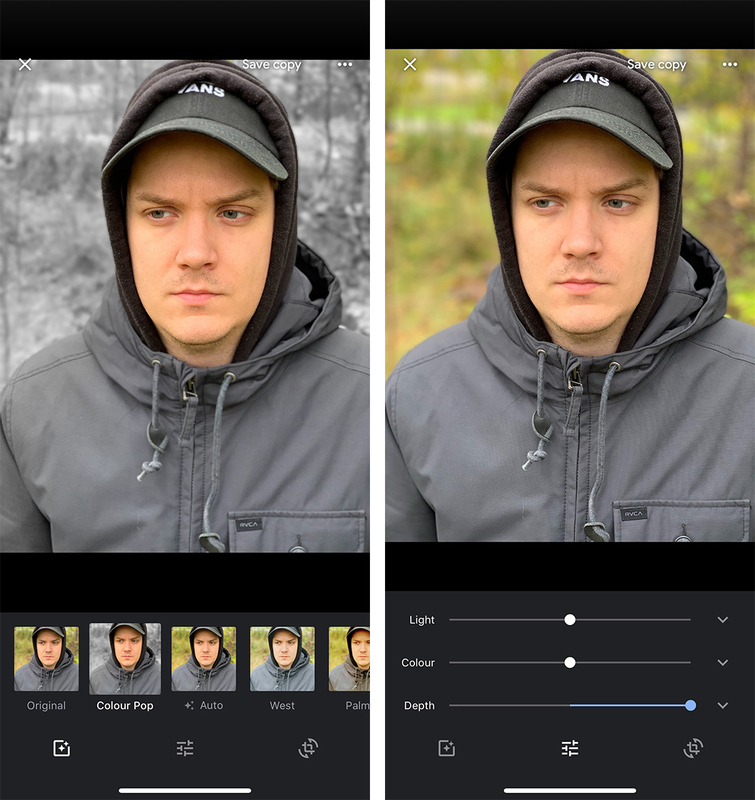 This means that you can now adjust the blur and change the area of focus with any Portrait Mode photo you’ve shot with the iPhone 8 Plus, iPhone XR, iPhone X, iPhone XS or iPhone XS Max. Though it remains unclear, it seems like Google is handling all the depth-of-field processing behind the scenes given that images altered with Google Photos often look far different than they do when edited with Apple’s Photos app. The results seem to vary when it comes to quality, with some images turning out better than what Apple’s stock Photo app typically produces, while in other cases, photos look less than stellar. Along with the ability to alter a photo’s bokeh, comes new ‘Color Pop’ functionality as well. With this camera setting, tapping on the image’s main subject allows users to desaturate the photograph’s background to black and white, while the person in the photography remains in colour. The feature can be a little finicky, but I found it worked surprisingly well with most photographs. Both Color Pop and depth-of-field editing are rolling out to Google’s Photos app now and should be available soon. In order to access the new features, open up an image shot in Portrait Mode and tap the edit button. Color Pop then shows up as the first filter option. Tapping the edit button a second time reveals the depth slider. Google Photos is available on iOS for iPad and iPhone.